Men in the Sun [Rijal fi-al-shams [1962/3] was one of the first books by a Palestinian writer I read; entry point, beginning. 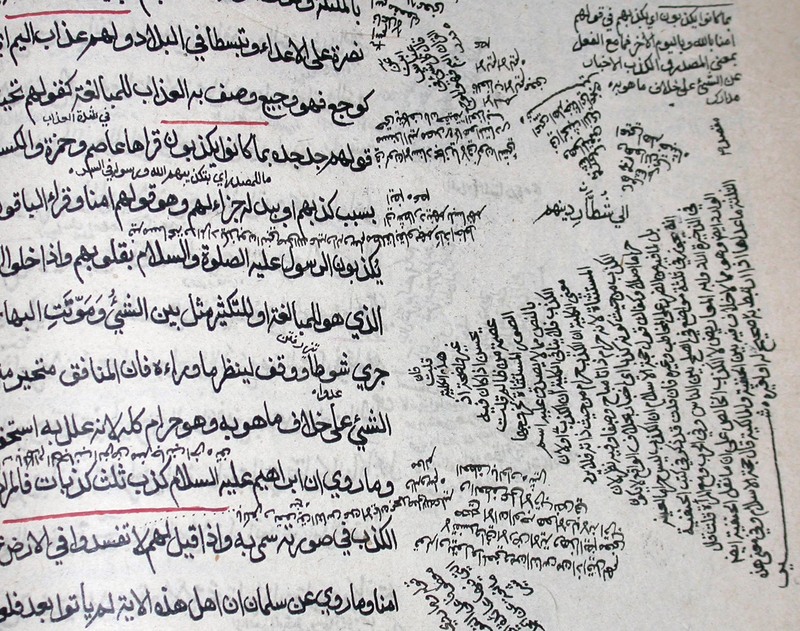 I admired it first time up but wasn’t able to get a real hold on it or place it in a wider [Palestinian] literature. I expect that this is a common experience in general, although if Mourid Barghouti‘s classic memoir I Saw Ramallah is a similar entry point for many today -as anecdotal experience suggests- the effect will also differ. MB’s book is more self-contained in this sense, its brilliant opening chapter The Bridge carries the voice of these men in the sun [amongst many others and much else] back home. Readers familiar with both will, I hope, forgive the purposive crudity of such an analogy. I re-read Men in the Sun recently in a slim and very simply produced Heinemann/Three Continents Press edition [it first arrived in English in American University of Cairo Press, AUC, whose excellent back- and ongoing list is emerging through the wonderful Arabia Books in the UK] I was almost shocked by just how good it is; beautifully spare prose, precise and haunting altogether and, so far as I can tell, very well translated by Hilary Kilpatrick. 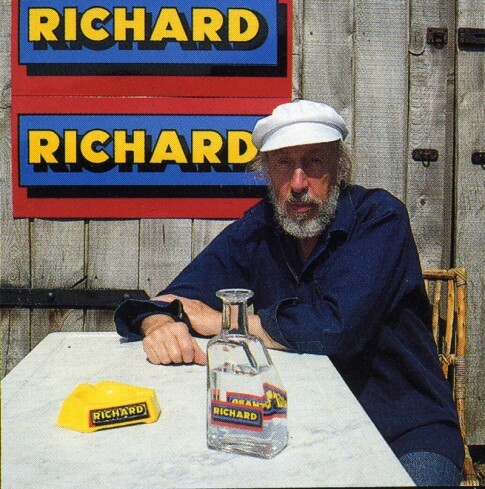 This is an audio of Richard Hamilton’s talk, currently up on the Serpentine Gallery’s site. I’ve made extensive notes of what is newest in it below, which concentrates on previously unexhibited work towards the end of the talk. Most of the 119 minutes here is RH himself; beginning at 11 mins in and ending at 87 mins after which is a short discussion with Hans-Ulrich Obrist. The audio ends at 109 mins in fact. Much of what he says about individual pieces through his career he has said before in interviews recently republished in Richard Hamilton October Files 10, for example. However, even if you know those well it’s different, of course, to hear how he talks about the word pop and his emphases, hesitations, digressions in general. Especially interesting is what he has to say about Palestinian dispossession and the work it has generated. I want to share some modest thoughts about the Varèse 360º mini-festival at London’s Southbank Centre 16-18th April. 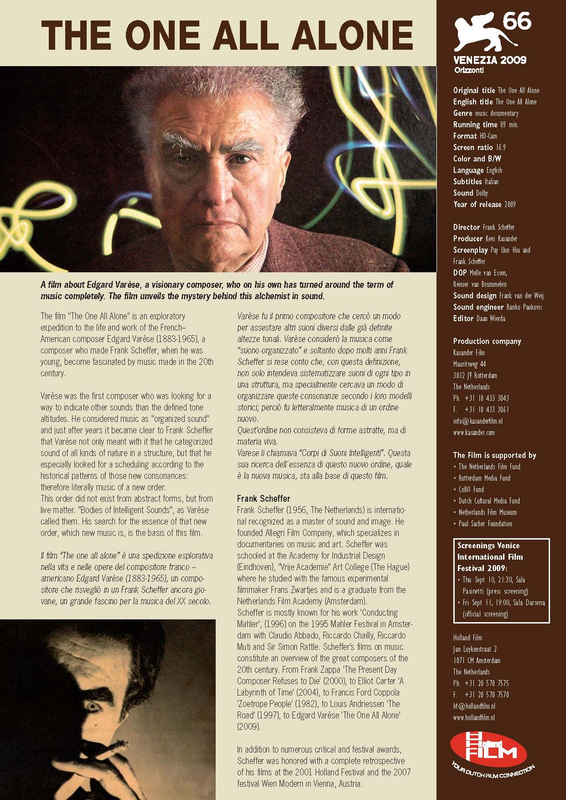 According to the programme, Edgard Varèse [b. Paris 1883, d. New York 1965] was “a sonic pioneer”. In 1955 John Cage wrote that Varèse had “established the present nature of music … this nature … arises from an acceptance of all audible phenomena as material proper to music.” His entire known work sits happily within 2 cds and has been spread over three concerts here. I caught the two featuring the London Sinfonietta conducted by David Atherton at QEH but not the larger orchestral pieces performed by the NYO. I know the work quite well in the form of the Chailly and Boulez recordings. There are things to admire and thrill at in all his recorded work, my own favourites fell into the performances I saw and Density 21.5 -composed in 1936 for a specific platinum flute- is on regular rotation in my life. I’ve listened to these recordings with headphones and in a domestic environment but never heard it performed before now. The first evening included a startlingly precise and mesmerising performance of Ecuatorial, in which a pair of theremin ‘cellos’ were gorgeous contributors, and ended with one of his last works; Déserts, written after 15 years in a wilderness of depression. The tightness of the performance made for a thrilling experience [Gillian Moore writes of a “blazing austerity”] in which I found myself pursuing sounds around the stage in ways unique to Varèse’s invention of what he called “organised sound”. The second programme included Hyperprism, Octandre, Offrandes, Intègrales, all performed with the same peculiar vigorous purity. Sitting very close to the stage I could hear the instruments themselves more acutely; their timbre, distribution of sounds and peculiar rhythms, the lingering murmur from inside a mute cello at the end of one inverted crescendo. Witnessing this made me feel as if [or realise that] I hadn’t actually heard the music before. In a related panel discussion both biographer Malcolm Macdonald and composer Julian Anderson described how their respective favourite pieces of Varèse’s [pressed, they offered Ecuatorial and Intègrales respectively] always sounded new or completely fresh whenever they heard them. These differing newnesses may be related but in any case, I felt exactly the same way hearing old favourites of my own live for the double first time. The recording of Poème électronique played over QEH’s pretty good system sounded exactly as it always does, however, therefore comparatively shrunken and dissipated. 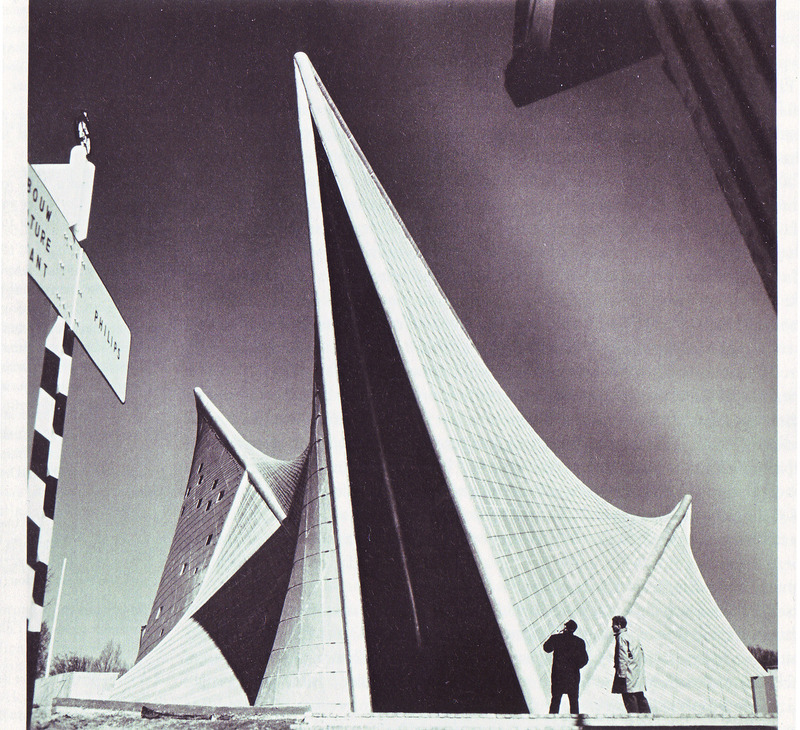 It was accompanied with an irritatingly weak series of images, used in preference to Corbusier’s montage which was made to accompany the music at its birth in the Philips Pavilion at the Brussels World Fair of 1958. I’m including the latter because while the use of images of genocide is problematic, it’s a more convincing attempt to relate to the scale of the music [on Ubuweb here]. There were moments, passages of stunning originality and potency in this second performance, notably of Octande but also Intègrales -an effective condensation of Varèse’s range. It’s an exhilaration that can only be experienced in live performance of the highest standard like this [bad or okay performances of Varèse would be hard to take]. However these are works that should be performed regularly, even in Britain which only caught up with the 20th Century when it ended. Varèse should be heard widely and regularly not only because of his very clear and often acknowledged influence on a mass of music throughout the 20th and 21st Centuries but also for the force and beauty that it possesses in itself. Macdonald argues that his work represents a comparable step-change to that of Beethoven or Wagner. The absence of Varèse from the British repertoire is equivalent perhaps to letting Emily Dickinson’s poetry fall back into the obscurity of her life and confining Jorge-Luis Borges or Gertrude Stein to dusty national libraries. 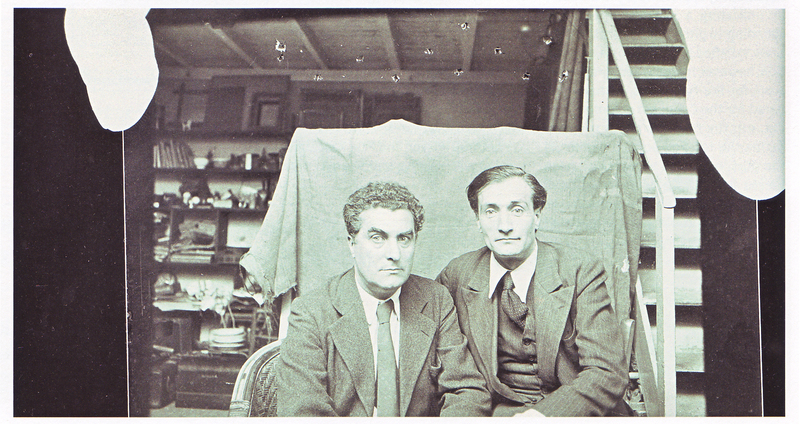 Edgard Varèse and Antonin Artaud 1933. Beyond the music and a panel discussion worth catching, there were also film screenings. 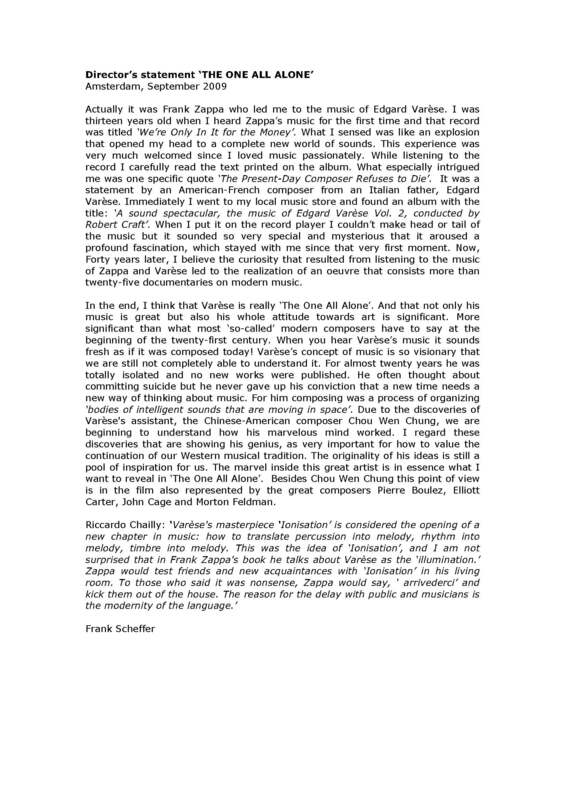 I missed Mark Kidel’s early documentary, EV A Portrait, and only caught a few minutes of Frank Scheffer’s very recent documentary which takes its title from a never realised but ever-present all-encompassing notional work of Varèse’s; The One All Alone. One of the impressive range of potential or partial collaborators that Varèse worked with towards this project was Antonin Artaud. Artaud is the king and fool of the 20th Century for me and it was the discovery of this image of him with Varèse, taken in 1933, just before both men began descents into physical and mental torments lasting a decade and half in each case, that really locked off my interest, passion, even enjoyment of Varèse [something comparable happened with Anne Carson]. A friend of Artaud’s is a friend of mine. I was able only to see the beginning of Scheffer’s film in which Cage and Feldman discuss the figure who was a major influence or inspiration on and to both. It was one of the free screenings in the RFH and I’d love to be able to see it in full but as yet it has no distributor in the UK. Varèse is only very rarely performed in the UK so no surprise there, but he’s regularly performed and heard across Europe where the film has been screened but distribution is not yet finalised either. This is the poster for it and below is a pdf of the other part of the flyer with contact details to the production company and a short director’s statement. I knew that the Varèse would be sold out -as it was- which is why I did something very strange for me and booked it months ago. However I had no idea whom it would be sold out to and the audience turned out to be pretty diverse in fact. I believe the panel’s description of teenage members of the NYO’s gradual but then real grasp and excited engagement with the music, but there were very few people under 25 in the audience. However, the lack of appetite shown by all those really clever, super curious and on-the-ball distributors, festival organisers, British TV lunchboxes might be justified if only 17 people turned up [or, worse, the entire 117] but as it was it’s pitiful and repeats the offence of neglect that Varèse suffered throughout his extraordinary and difficult life. The best way to encounter Varèse is live in performance, as I now know with indelible clarity, but a documentary is a foolproof introduction to the subject, the most easily negotiated threshold. 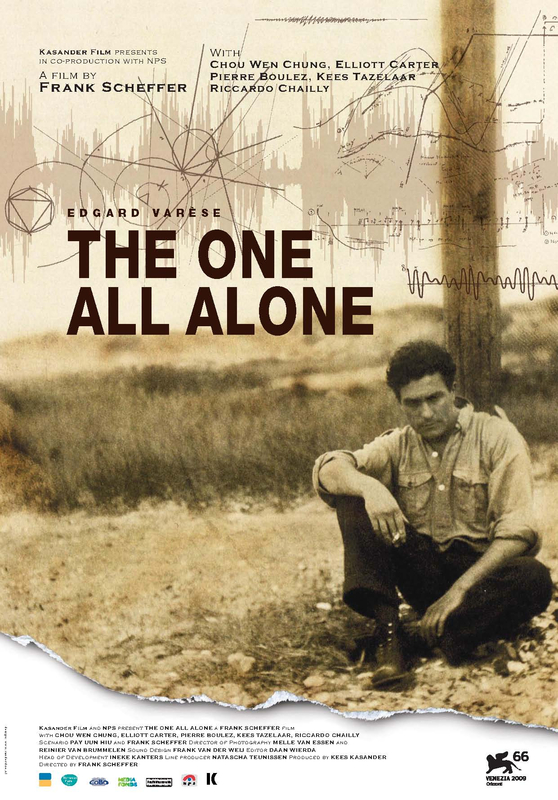 Edgard Varèse Composer, Sound Sculptor, Visionary Ed. Felix Meyer & Heidy Zimmerman [The Boydell Press 2006 pp 505] here. Give My Regards to Eight Street Collected Writings of Morton Feldman Ed. BH Friedman [Exact Change 2000] here. Silence John Cage [Marion Boyars 1968] here. Penelope Fitzgerald [1916-2000] has become the exemplum of a writer I want to admire more than I can. Who cares? you might say. Well, I wrote about The Blue Flower back in 1995 [see below]. I knew the novels and very little about their author except that her previous novel, The Gate of Angels, had been universally hurrahed. I liked the work and felt that probably I would like the author of such work, but also that there was something lacking in it. The Blue Flower –about the life of romantic poet and philosopher Novalis at the difficult moment of his idealisation of 12 year old Sophie von Kuhn, his ‘true Philosophy’- was the perfect vehicle to address that lack and I responded to it accordingly. Everyone else loved and admired it greatly. Of course, they could be wrong or merely reflect an established taste that I don’t share. In any case, so what? Well since then Fitzgerald has taken centre stage beside and in place of her work. This would not make much difference to me except that in a famous instance an earlier novel and eventual winner of the Booker in 1979, Offshore, was poo-pooed by judges and programme-makers as womanly stuff of the side-plate. Even PF’s publisher was famously condescending towards her work. If I’d known more about her biography or been old enough to have heard the lit chat at the time, I would have critiqued The Blue Flower more cautiously. I wrote with sincere, albeit slightly sceptical, admiration and meant it when I tried to indicate that her writing was as good as post-war Anglo-Saxon writing gets. I admired her for attempting to take on the terrain of Idealist abyss, just didn’t think she’d pulled it off. That old male literary establishment was and is repulsive with its pathetic boyish sneering. An establishment is always invisible to itself and takes a no less complacent form nowadays, cohering without much thought around a very settled idea of what a novel is. However, it no longer defines it as an exclusively male preserve. Indeed, so long as it’s a roast potato they really don’t mind at all who cooks it. Protest makes no difference right? I hope you’ll consider whether you want to continue to finance Palestinian dispossession and massacre next time you hold red peppers, avocados, sweet potatoes, sage or tarragon etc. in your hand in any of the big British supermarkets. Think of them as live ammo or broken bones if it helps… In any case; think. Here is a statement reporting that Gil S-H announced he won’t be playing Israel after all. So we can continue playing that unique back catalogue and if you haven’t yet, get hold of I’m New Here [link to earlier celebratory post]. Artist won’t play in Israel “until everyone is welcome there”. “Fans of revolutionary poet and singer-songwriter Gil Scott-Heron welcomed his decision tonight to cancel the concert he had been scheduled to play in Tel Aviv this May. Heron announced the decision during his set at London’s Royal Festival Hall, the opening date of his World tour. Activists from the Gil Scott-Heron Boycott Israel Campaign had picketed the event earlier in the day, attracting considerable public interest and support. Ten activists from the Campaign then continued their protest inside the concert, raising the issue of Israeli apartheid right at the start of Heron’s set and after the first song. The activists were great admirers of the artist who were shocked by Heron’s decision to play Israel, given his longstanding commitment to equality and civil rights in both the USA and South Africa. Leading members of the ANC have stated that Israel’s treatment of the Palestinians is even worse than was their own treatment under South African apartheid. I write this in sadness rather than anger. Gil Scott Heron is due to perform in Tel Aviv on May 25th. For a man of consistency and courage to capitulate to such a regime is really shocking. It undoes the achievement of a lifetime of truth-telling and difference-making -notably in the long struggle against apartheid. It might be testament to personal tragedy, but there’s no excuse for being quite so blind, deluded or careless. “Don’t you wanna be free” Gil? Read ‘Gil Scott-Heron: don’t go to the moon’ here. Leave Gil a comment here. On his myspace page -which also lists the gig- here. Or on xl recording’s GS-H page here.